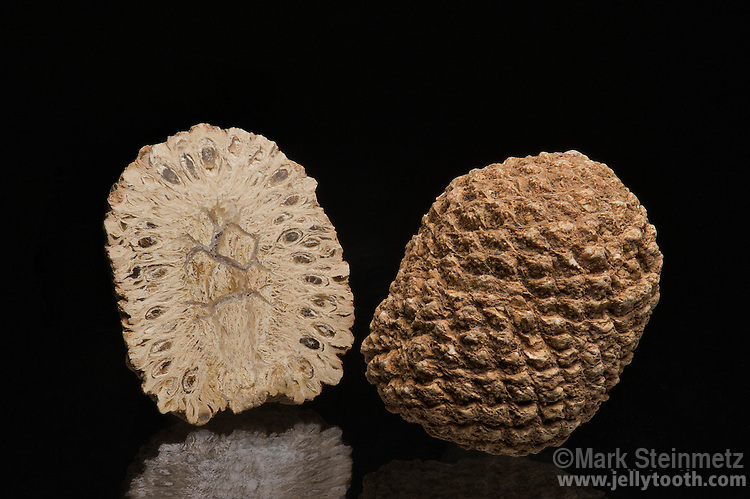 Fossil petrified seed cone (Araucaria mirabilis) Jurassic Period. Cerro Cuadrato, Patagonia, Argentina. This beautiful specimen has been sliced in half, and polished on the inside to better show the detail on the interior. Its closest relatives today are the Monkey Puzzle Tree of South America and the Norfolk Island Pine. Specimen is approximately 6 cm high.